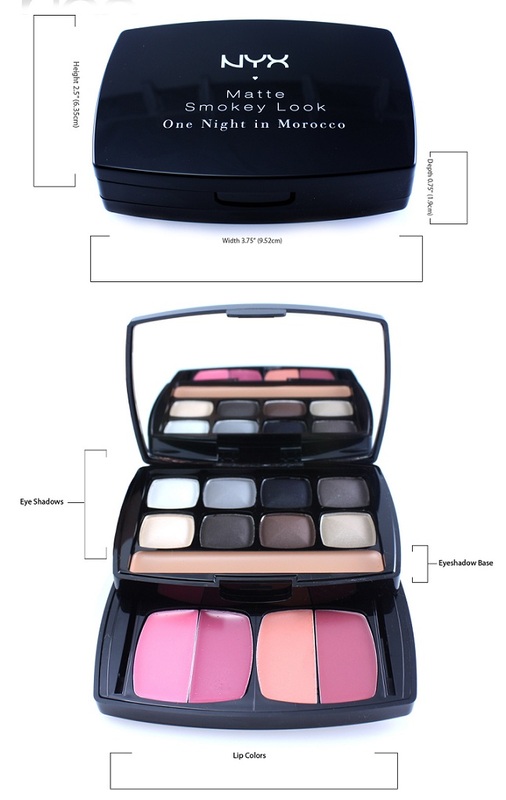 The top row is the eye shadow alone and the bottom row is with the eye shadow base of the palette. You can see how the intensity of color changed. I may did not used the eye shadow base on my lids so far as it was too hard to glide. I used the Garnier Tinted Eye Roll on and it was good to pop up the colors. 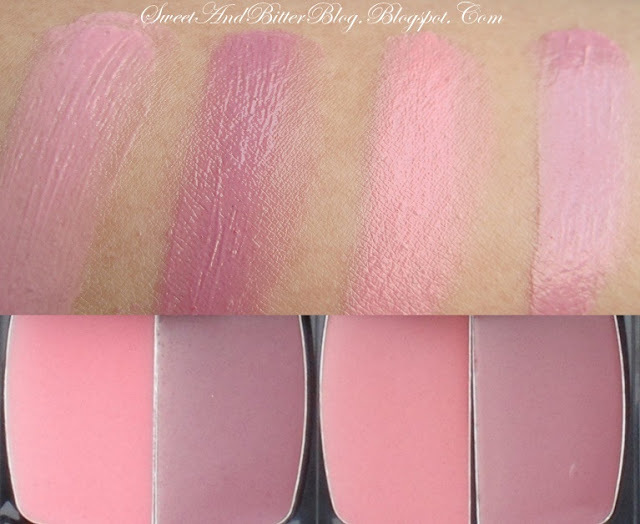 The colors are very pigmented and very smooth to blend. You can easily work with them. The Lip colors are disasters. In all the reviews I read the same but I guess I was too blind in love to listen to those reviews. The colors are pretty but they are of no use. I swiped the colors like 4-5 times to show it up. You might not like to coat your lips that much! The texture is also very bad. In one word, the lip colors are just – useless. I will very much pack a peach lipstick while I am moving around with this palette. Final Verdict - Not for pros. 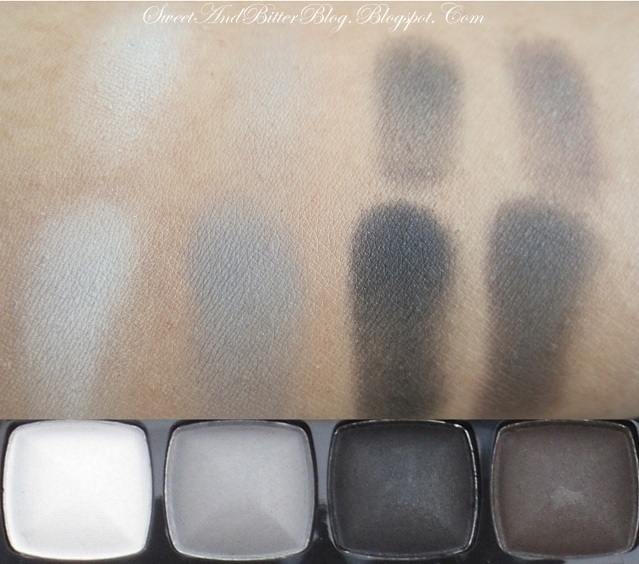 Fine enough for beginners who instead of buying single colors can experiment with 8 matte smokey colors. But lip colors are of no use so you can very well buy another one with more color options. 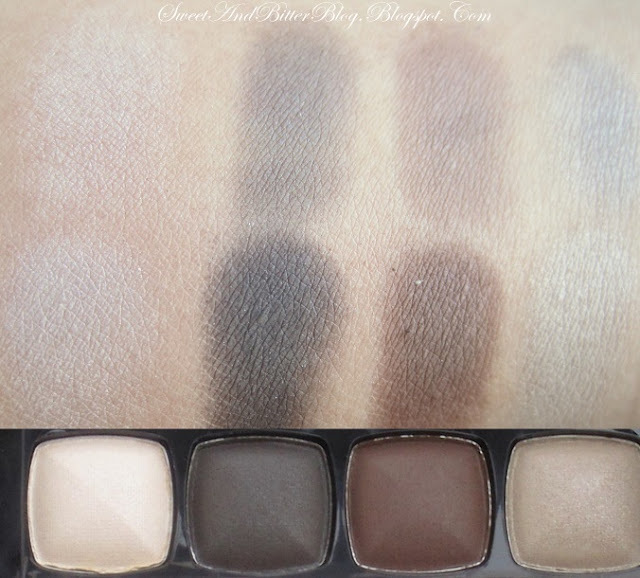 So you very as well can try the other smokey look palettes available. Will not recommend anyone. Only the eye-shadows are good. Thanks for this review. I feel I have to add though, that I LOVE the lip colours. I dont wear lipstick, usually only glosses, and I find these the perfect inbetweener. The colour match a smokey eye well. I wouldnt want dark lips with a smokey eye.